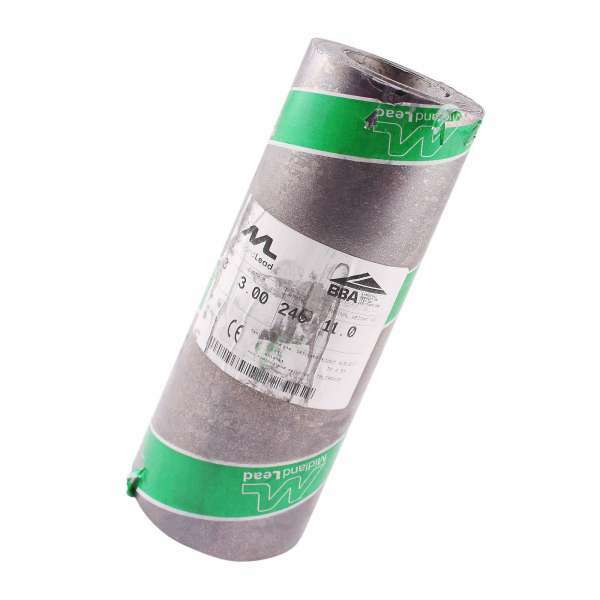 Product information "240mm (9") Lead Flashing Roll (Code 3)"
240mm (9") wide roll of durable 1.32mm thick Code 3 lead for lightweight building projects, such as soakers, flashing, conservatories roofs, gutters and general repairs. Lead is a highly durable natural material that can last over 100 years; much longer than other natural and synthetic alternatives. Saves money and create less wastage by ordering by the metre! Midland Lead is produced to European Standard (BSEN12588: 1999) which regulates dimensional tolerances and governs the amount of permitted inclusions (copper, tin, antimony, etc) in the lead. In accordance with EN Code Weights, Code 3 is rolled out to 1.32mm thickness (+/- 5% tolerance) to give a weight of 15Kg per square metre. Did you know? We offer Code 3 and Code 4 lead in alternative widths. Take a look at our other listings for more informaiton. Lead is a natural product which, when exposed to the air, can discolour due to oxidisation. To reduce this effect we recommend the use of Patination Oil, prior to installation. Gloves should be worn when handling to protect from sharp edges. Hands should be washed thoroughly after contact. Regular spaced expansion joints should be used to avoid any problems caused by expansion and contraction. Individual flashing pieces should not exceed 1.5m in length. Related links to "240mm (9") Lead Flashing Roll (Code 3)"
Customer review for "240mm (9") Lead Flashing Roll (Code 3)"